Pay what you want or beat the average and get more than seven awesome titles in the latest Humble Bundle! 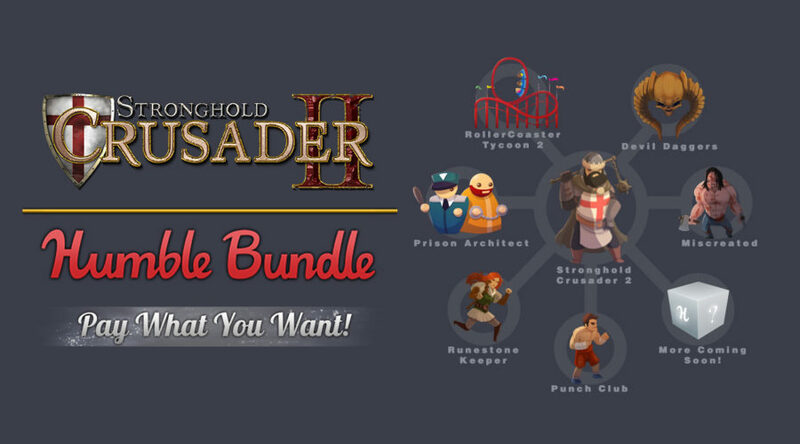 Firefly have joined forces with our friends at Humble to bring you Stronghold Crusader 2 (and many other excellent games) at their lowest ever price! It’s completely up to you how much you pay and where your money goes. You can send it all to the hard working developers, awesome charities or all-around great human beings at Humble as a tip for their great work. The important thing here is that YOU can get CHEAP VIDEOGAMES. The Bundle ends in two weeks. So don’t miss out!